ELIZABETH CITY, NC –– The 2016 Chevrolet Traverse is a spacious SUV offers a refined feel with options that make it the perfect family car. The Traverse is an invitation for everyone to get in and enjoy the ride. 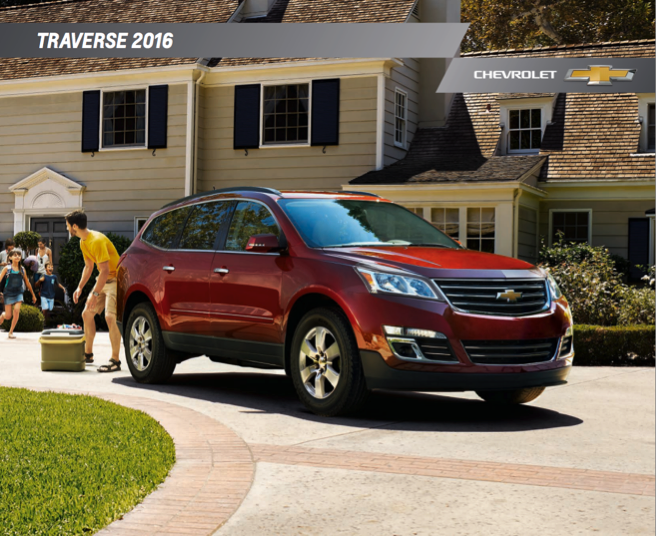 To see interior pictures download the 2016 Chevrolet Traverse brochure. The feature most prominent on the 2016 Traverse is the inclusive and thoughtfully designed interior space. This Chevrolet SUV is made for comfort and ease in every feature. Rich amenities like heated/cooled driver and passenger seats, premium leather appointments, 10-speaker Bose system, and built-in 4G LTE Wi-Fi create the comfort you want and convenience to boot. Best-in-class maximum cargo space, seating for up to eight, and Acoustic Insulation Package make for a smooth and spacious ride. Stabilitrak electronic stability control system and all-wheel drive offer the driver confidence in all types of weather. A five-star overall vehicle score for safety from the National Highway Traffic Safety Administration on the 2016 Chevrolet Traverse protects all those along for the ride. Details on these safety features and more can be seen in the downloadable 2016 Chevrolet Traverse brochure. When you decide which of the nine trim packages is right for you, stop by Perry Auto Group to purchase or lease your 2016 Chevrolet Traverse. Perry Auto Group has two dealership locations to serve you better at 1005 W. Ehringhaus St, Elizabeth City, NC, 27909 or 1001 Halstead Blvd Elizabeth City, NC 27909. Stop in for any of your auto or community needs, or feel free to give us a call at (252) 338-9100.